One of the world’s oldest YouTubers, 107-year-old Mastanamma from southern India, has died. She shot to fame on the internet for her cooking, which consisted of local and unusual dishes made from scratch. Her YouTube channel, Country Foods, has more than a million subscribers with hundreds of cooking videos, including one on her iconic watermelon chicken. The channel, managed by her grandson and his friend, launched in 2016 and became an instant hit. 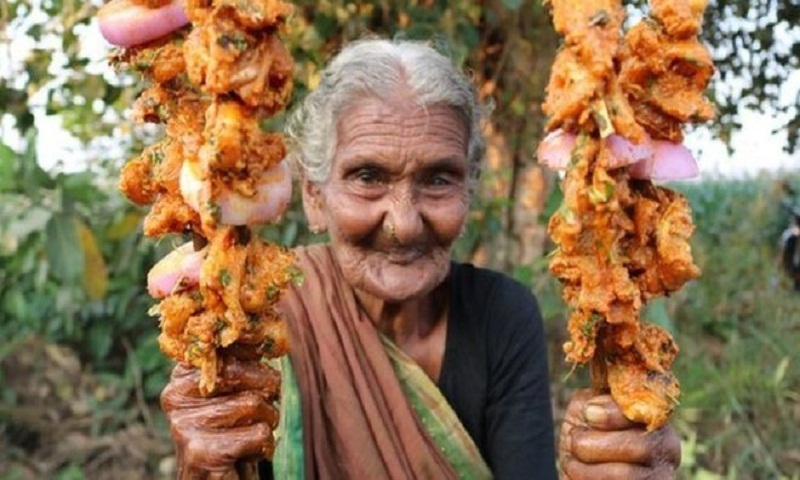 Born in the state of Andhra Pradesh, Mastanamma told BBC Monitoring she believed she was 106 years old in 2017 – although she has no birth certificate to prove it. In the videos, she would often sit in an open field in a remote village with minimal cooking equipment and cutlery. She would use her nails to peel vegetables, and an old Indian-style knife to chop them. Food was served in a traditional southern Indian banana leaf. BBC Marathi’s Omkar Karambalekar, who met Mastanamma in 2016, says her style of cooking differed greatly from what is generally found on YouTube. He says she would burn the wood herself instead of using a cooking stove and liked cooking seafood because she could source it fresh from a nearby river. “Her completely unique take on traditional Indian cooking is what made her a star,” he adds. Country Foods announced Mastanamma’s death on Monday with a video on her last rites. Since then, many fans have taken to social media to praise her recipes and mourn her death. On social media, she was dubbed the grandmother with a toothless smile and best known for making the combination of watermelon and chicken go viral. Her rich eggplant curry and spicy catla fish curry are among her most famous dishes.